Facebook exposes you to privacy risks that have the potential to ruin your personal and professional lives. 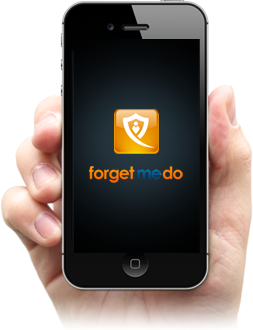 Forget Me Do® Limited have identified the revelation of personal information as the source of these risks and developed an app to protect you. Facebook boasts 829 million daily active users. Every day, these users upload more than 4.75 billion items of content, 'like' more than 4.5 billion items, and send more than 10 billion messages, contributing to Facebook's 600 terabyte daily, data harvest. Facebook enhances our lives. Nevertheless, the unprecedented deluge of information leaking from Facebook is alarming and this information causes us harm. 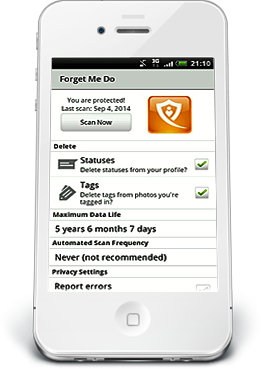 The Forget Me Do® app protects you by automatically deleting obsolete information. 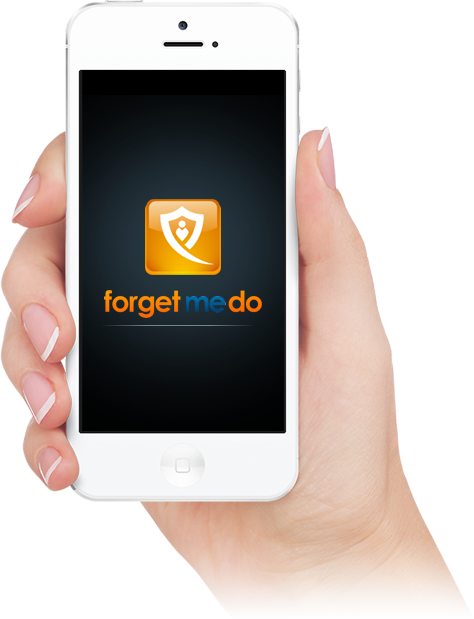 You can learn more in our press release Forget Me Do® deletes Facebook content for your privacy and white paper Forget Me Do®: Empowering user privacy on social network sites. Delete your old status updates and untag yourself from photos on facebook. You decide how long to keep your data. Operates in the background, without your intervention.